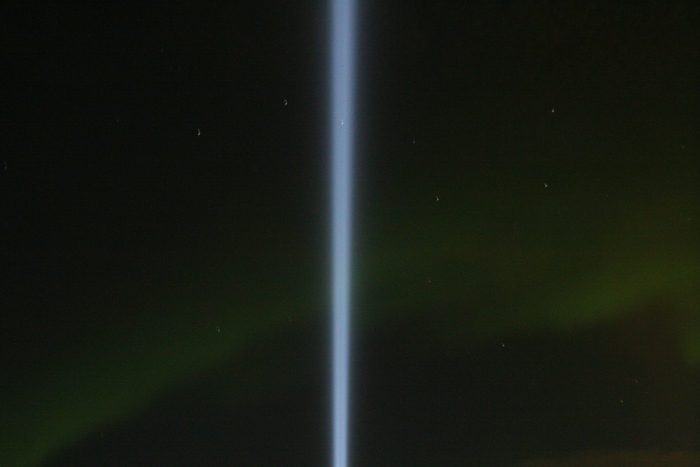 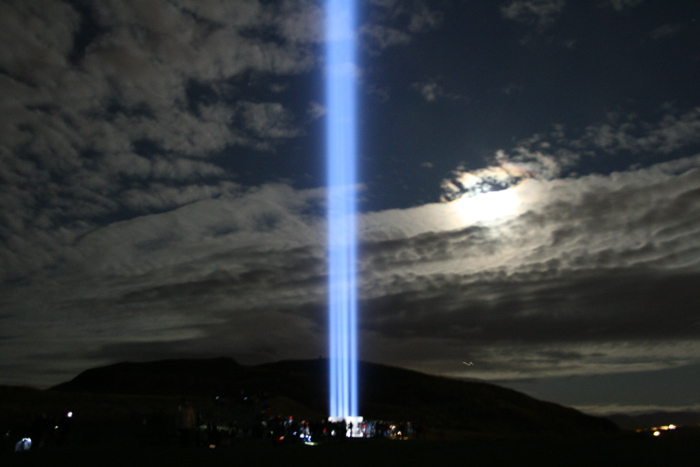 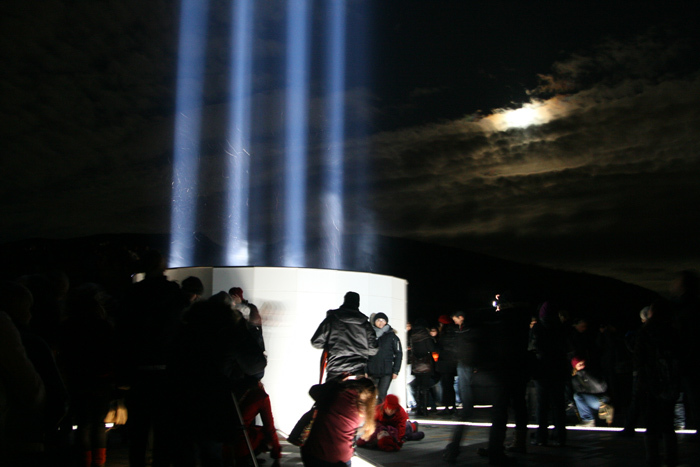 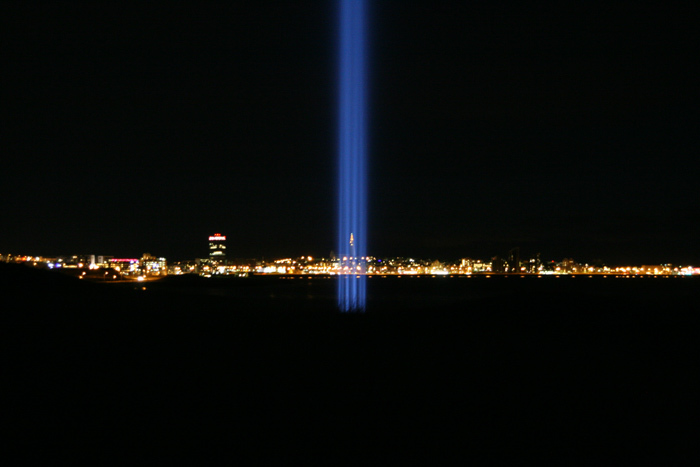 a trip to viðey (a short ferry ride from reykjavík) a few weeks ago to see the lighting of the “imagine peace tower” (with yoko ono and sean lennon in attendance). 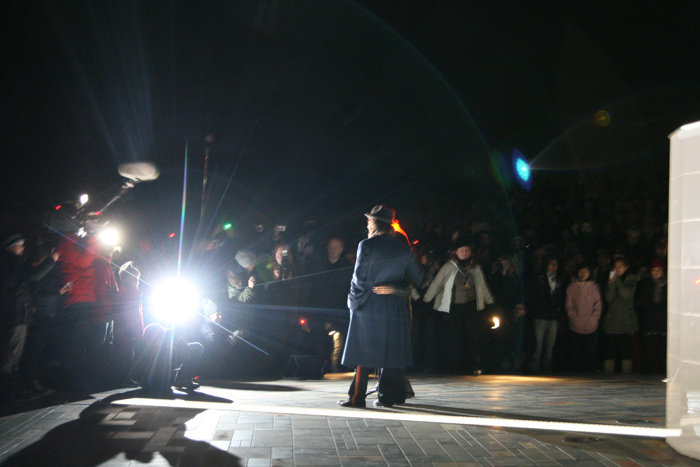 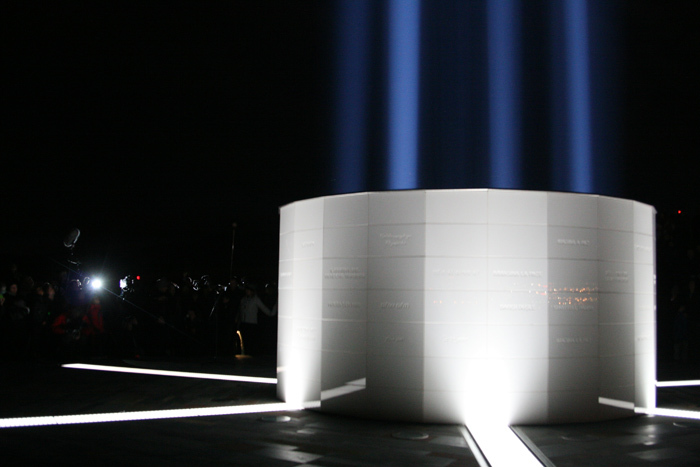 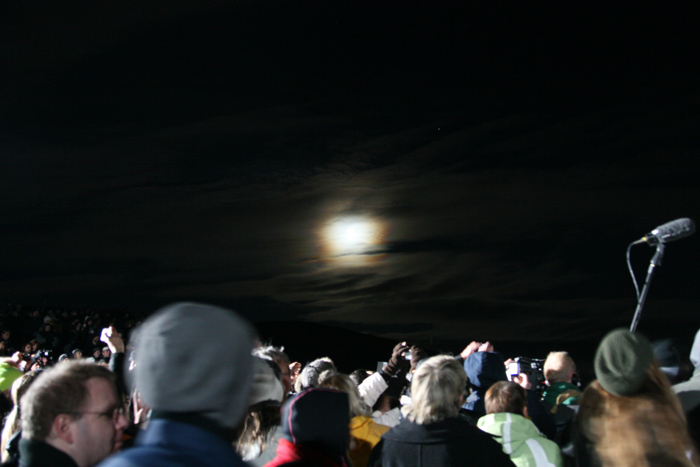 the lighting of the tower, a full moon, northern lights and a satellite passing overhead. 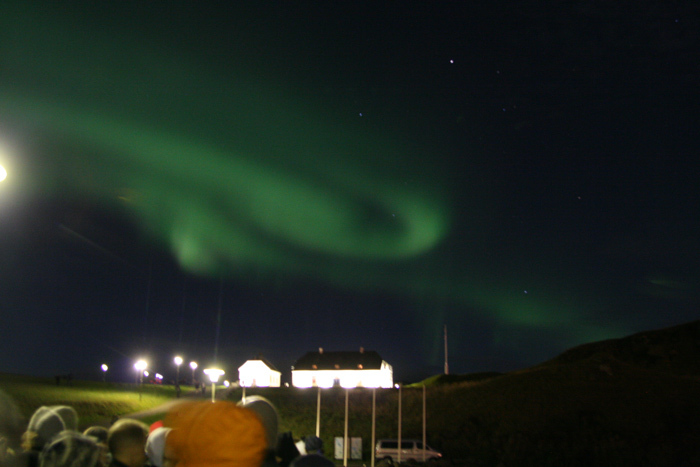 pretty fantastic.